Fronting several Cape Cod bands in the late-1970’s and early-1980’s then, after settling down in lovely Worcester, MA in 1984, Bill McCarthy has been a popular performer around Worcester County, Boston Metro West, and Cape Cod for over thirty-five years. In past years Bill has been voted: “Best Solo Act” by the Worcester Phoenix’ Peoples’ Poll; “Best Male Vocalist” by the Worcester Magazine, and “Best Male Vocalist” and “Lifetime Achievement Award” by the Worcester PULSE magazine. Catch Bill playing a large variety of classic & contemporary acoustic pop & rock! Bill makes his Southgate debut with us tonight! Calling all cast and crew from our 2017 Anniversary Show “That’s Entertainment” to look back at all the fun we had and share a toast with fellow cast and crew mates for a job well done! All are welcome to join us for the event! Post Impressionism Like a stone dropped into a calm pond, the ripples from the revolutionary Impressionist style of painting spread out, influencing a whole new generation of artists. Artists like Van Gogh, Gauguin, Rousseau and Cezanne, among others, took a small step away from Impressionism and influenced whole new movements of art. Join us this afternoon for a lecture/discussion on how to start researching your family history (genealogy), and what the next steps are, including Internet searching. The session is designed especially for newbies, but will also be a good “refresher” for folks who have already done some work on their family history. Some helpful handouts will be provided. Presented by George C. Brown, M.S. 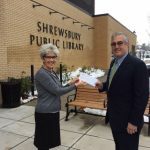 in L.S., retired assistant director and head of adult services at the Shrewsbury Public Library, where he started a genealogy club nearly 2 decades ago. The third in our 4-part subscription series the rehearsal features Andris Nelson conducting pieces featuring the Tanglewood Festival Chorus and works by Bach, Schumann, Shepherd and Mendelssohn. Previous registration required. Water Volleyball is a water-based team game just played in the water! Teams are made up of four – six players, so make your teams now! 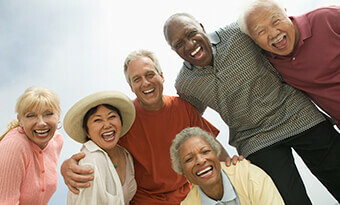 Have fun with your friends and get some fun exercise as well! Please sign up at the Health Club so we know how many we have! With its irresistible blend of hip-swiveling hits, eye-popping fashions and outrageous dance moves, SHOUT! The Mod Musical takes audiences back to the music, style and freedom of the 1960s featuring terrific new arrangements of such classic tunes as “To Sir with Love,” “Downtown,” “Son of a Preacher Man” and “Goldfinger.”The review follows five groovy gals as they come of age during those glorious days that made England swing. RESIDENTS ONLY EXCLUSIVE PERFORMANCE on Sunday, Feb. 11th at 2:00 pm. No ticket required. Additional ticketed public performances include Sat. Feb. 10th & Sat. Feb. 17th at 7:30 pm. Sunday, Feb. 18th at 2:00 pm. Sean Fullerton has been a successful musician, singer/songwriter, recording engineer and producer since 1995. Specializing in Acoustic Blues, Rock ‘n’ Roll, Memphis Soul and Fingerstyle Guitar, Sean’s performances never disappoint. 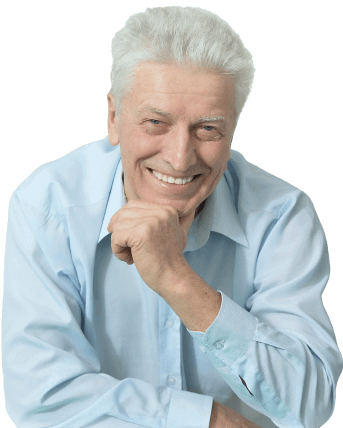 This Health Club Assessment is a fifteen minute evaluation of the specific needs of a person and how those needs can be addressed. This is a physical assessment. Sheila will check your range of motion, balance and flexibility. As always, please check with your doctor before performing any physical activity. Sign up is in the Red book in the Health Club Center. Join us during happy hour in the lounge at 5:15 to pick up your “Famous Couples—Friends and Foes” Quiz and then dance the night away as the Tom Nutile Octet joins us for a Valentine’s Day celebration in the dining room. We’ll have prizes for the winners at 8:00 pm! Our speaker for this morning is Bill Wallace, Director of the Worcester Historical Museum. His topic is “Be Mine: The True Story of How Worcester Did Not Invent the Valentine.” This time of year, to let partners, friends, and family know just how much you love them each February 14, you might want to thank, or blame, the city of Worcester. The Valentine was not invented in Worcester; but in the last quarter of the nineteenth century, Worcester was one of the centers of the American Valentine industry. Bill will tell us how and why that came about. Bill has been the Director of the WHM since 1976. Under his leadership, the museum has sponsored many community-based exhibitions and public programs. The latest exhibit at the WHM is “Citizen Soldiers: Worcester in World War I,” which runs through February 28. Come and join the fun in the Community Room for some putting miniature golf activity! Join a team or form a team of four to five players today! Signups in the red book in the Health Club! Individual score cards, 10 miniature golf stations, team comraderies! Holdin’ Back was formed in 2013 by seasoned Worcester County Musicians Craig Smith and Paul “Blakey” Blaquiere. In 2017, they were joined by Emma Riffelmacher and Joe Ostrenga. With Emma as the featured vocalist, Holdin’ Back is dedicated to playing great music for local bandstands, fairs and festivals, and private parties and functions. Their music appeals to all audiences with our repertoire of “Feel Good” Rock ‘n’ Roll, Oldies and Classics. Per resident request, the band makes their Southgate debut tonight. Following our hearty breakfast buffet, Shrewsbury K-9 Police officer Chad Chysna will speak to us about this role in the department with his pal, “Hunter”. All are welcome to join us for the presentation. From the director of “Aladdin” and the co-director of “The Book of Mormon,” Something Rotten! is “Broadway’s big, fat hit!” (NY Post). Set in 1595, this hilarious smash tells the story of two brothers who set out to write the world’s very first MUSICAL! This Tony Award Nominee is a must—see for all fans of musical theatre. Previous registration required. Women of Note is an enthusiastic group of women who love to sing in a cappella harmony. Women of Note has existed for 25 years and holds 10 international medals with Harmony, Inc., an international organization of women who sing in the barbershop style. A portion of the proceeds from every Women of Note concert is donated in the support of their international designated charity. Welcome them back to the Flanagan Theater.